I saw Haunted Mansion and All You Need Is Pag-ibig (both good films!) already. This and Honor Thy Father and Nilalang are on my list. I would love to watch this! Didn't get a chance to watch ANY MMFF film because we were in the province. I haven't seen any MMFF movie this year. Hope to get to watch this while it's still showing! Sounds like a good movie to watch! Hopefully I get the chance to watch too! Ive seen "English Only, Please" and "This Thing Called Tandana" because of friends who kept on telling me that the two flicks are a sure hit. I find them both funny. Galing nga umarte ni Jennylyn. And just reading your post makes me want to watch #Walang Forever. I am also a fan of Jericho ROsales. Hmm makes me think tuloy if I should also watch the flick. :) I love This Thing Called Tadhana kasi so maybe I should watch it with E.
I haven't watch this movie but I am really intrigued because both of them won the best actress/actor award. However, you detailed everything why this movies won many recognition last MMFF. So ito pala yung Walang Forever akala ko meme lang to sa Facebook hehehe. This one looks interesting to watch. I watched English Only Please and I agree that Jennylyn is very good in that movie. Looks like me and my daughter will be seeing this film soon after reading you review. I would really want to watch this! 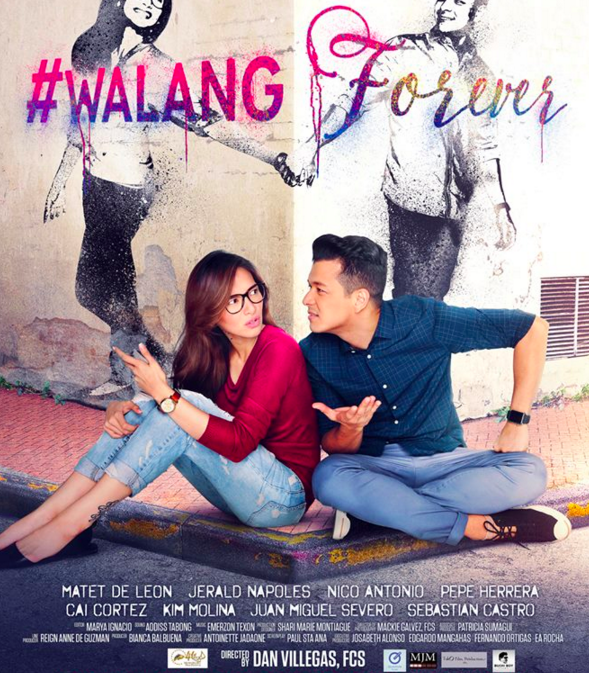 We watched an MMFF film last Sunday but we were late na to the screening of Walang Forever. I hope it's still showing sa weekend! Nice review, Didi! I haven't watched any MMFF movie this year because of my very busy sked, I'd like to catch this and a few others like Honor Thy Father. Like my hubby would say, magaling umarte ang artista dahil magaling mag-motivate ang director (case in point niya lagi si Keanu Reeves, LOL!). I also think that the team-up of Villegas and Jadaone is great because they know what they want and do it, and also get actors who they know can do it. Maganda ang diskarte nila. I rarely watch Filipino movies because the husband doesn't want :(( I hope to see this and the rest of the films very soon. ive watched this today. great acting. superb chem. i tried hard not to cry too much. if i was alone, i would have. The support cast are all veteran theater actors and actresses, most of them from PETA's Rak of Aegis cast, thus the skill and talent. I believe, this film was not dictated by Pinoy rom-com formulas which I was thoroughly refreshing. Jericho and Jennylyn are both excellent in their craft, very natural and understated but deep emotional acting and this goes beyond which networks they come from. They are just simply that good that they can stand apart from their home networks and produce a masterpiece such as this. This really looks like good film, Jericho is such a wonderful actor. I hope I can watch this very soon.